We just got a new TV so we took advantage of the rainy lazy Sunday and spent it indoors. While Mark flipped back and forth between movies, shows, biographies, documentaries, etc, I spent most of the day next to him on the couch on my computer. As I was Pinteresting, I found a delicious recipe for Peanut Butter Marshmallow Squares…then I found out it was NO BAKE and I was sold :0) Oddly enough, I happened to have all the ingredients too, so a trip to the store was not necessary (and would have been a deal breaker). 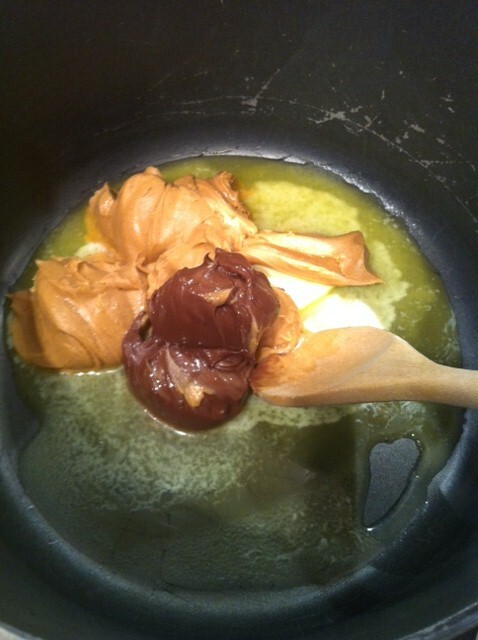 I added a little twist to the recipe by adding Nutella, vanilla and a little salt. Prepare a 9″ x 13″ pan with cooking spray. 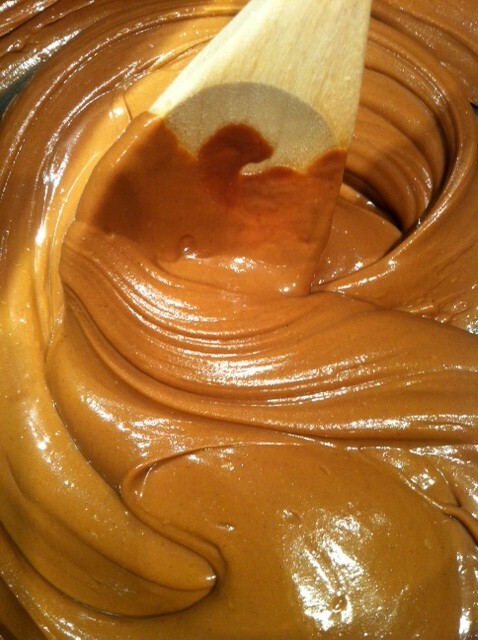 In a large pot over low heat melt butter, peanut butter and Nutella. 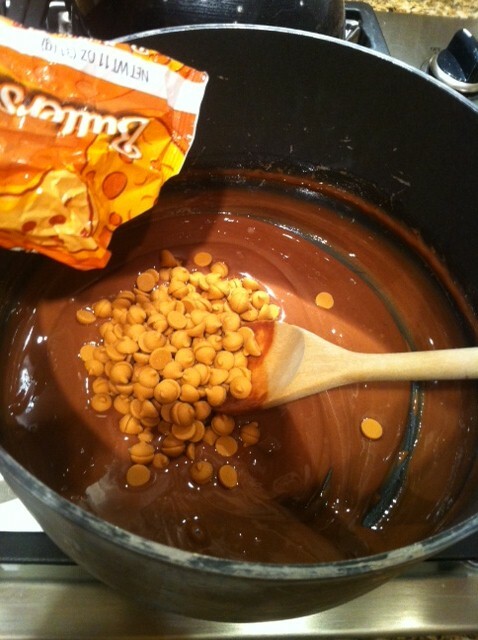 Pour in butterscotch chips and vanilla, stirring constantly until creamy. Remove from heat and all mixture to cool for about 10 minutes. 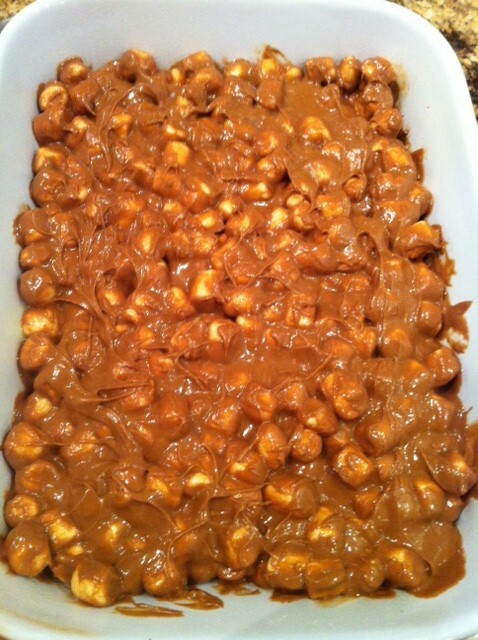 Mix in the marshmallows and spread evenly in the pan. Lightly sprinkle with salt. Refrigerate for at least an hour and cut into little squares. Enjoy!